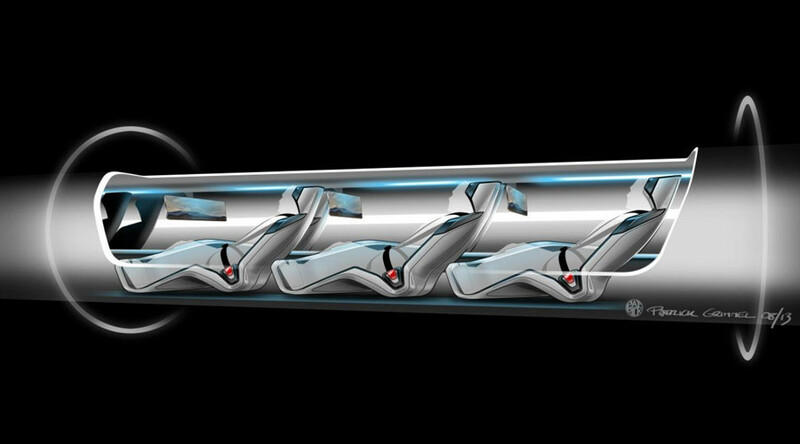 Remember the hyperloop – the futuristic transportation system that’s faster than an airplane that no one thought possible just years ago? Well, the visionary Elon Musk’s idea just got a new lease on life: we could see construction as early as 2016. A public opening of the five-mile test track in Quay Valley, California is slated for 2018. Now, Hyperloop Transportation Technologies (HTT) wants to prove they can shoulder the load that comes with creating something straight out of science fiction, and made the announcement on Thursday. The company will partner up with engineering-design firm AECOM, as well as the Swiss company Oerlikon, which specializes in vacuums – a technology that is key to the idea. The last piece of the puzzle is architectural firm Hodgetts + Fung. HTT has only revealed news of the partnership to Tech Insider on Thursday, although the alliance has been on for a while. Genius, Elon Musk’s Space X, as well as Boeing is lending engineers to the task as well (it was actually Musk’s idea to begin with). 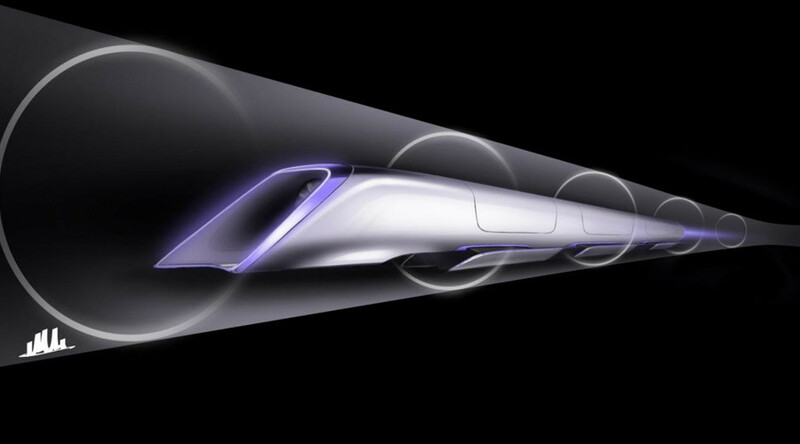 Some confusion may arise as to what a hyperloop is. Not so long ago, people were introduced to the idea of tube transport travelling in a complete vacuum – the pneumatic tube: something that could get you from eastern to western Russia in a matter of hours. But alas, a perfect vacuum remains as elusive as ever. However, as Musk put it exactly two years ago in 2013, above-ground transportation in a near-vacuum, and with extremely low air pressure inside the tubes, is indeed a possibility. He then basically suggested others take up the task. His presentation of the Hyperloop concept, which came along with futuristic renderings of sleek aluminum passenger pods, would travel in an enclosed environment shielded by steel tubes, mounted on pylons 50 to 100 yards apart, at speeds surpassing that of commercial jet liners. That means that the capsules would be moving faster than 500 mph. A trip from San Francisco to Los Angeles would take you about 30 minutes. Now, Dirk Ahlborn, CEO of Hyperloop Transportation Technologies, has a serious message for all the naysayers, regarding the partnership reveal: “It’s a validation of the fact that our model works… It’s the next step,” he told Wired. HTT’s creation in 2013 coincided with Musk’s report, but also owes itself to a mixture of crowd-funding and crowd-sourcing platforms under the flag of JumpStartFund – a startup that brings together engineers willing to basically work for free in exchange for stock options. And it’s not like it’s a walk in the park: the five-mile test track they’re building in Quay Valley, California, is going to cost $100 million. Two years later, the company announces it now has 400 “team members.” Ahlborn now tells the Insider that the company is in the process of acquiring all the necessary permits to begin selecting builders for its vision. “We have everything basically figured out for Quay Valley, but we are still trying to continuously develop new ways of making things better or more economical. The timing always varies a little bit, but we are making steady progress, and, for now, we are still in our timeline and everything looks good,” the chief told the Insider. “What we are doing has never been done before, so that is a very big challenge. Over the next couple of months, we are going to reveal some things we have been working on for quite some time,” Ahlborn added. The participants are no small players either: Oerlikon is so good at what it does that it was one of the contractors that helped build the Large Hadron Collider. The company has been in the vacuum business for a century. As Wired learned from the company’s head of business development, Carl Brockmeyer – “I don’t think the construction hurdles are significant compared to other technologies that are already out there". The tough part, according to Brockmeyer, is keeping within budget and energy constraints, which will be colossal; six of the company’s specialists are currently engaged in simulating the conditions required to bring the tube down to near-zero pressure. The final costs associated with that are still unknown. Also, while Musk himself won’t be on the project, his company Space X is hosting a competition next year for the best capsule, with participants working individually or in groups, and over 1,200 engineers have already shown interest in participating. Before August runs out, Space X will post additional details about the competition.